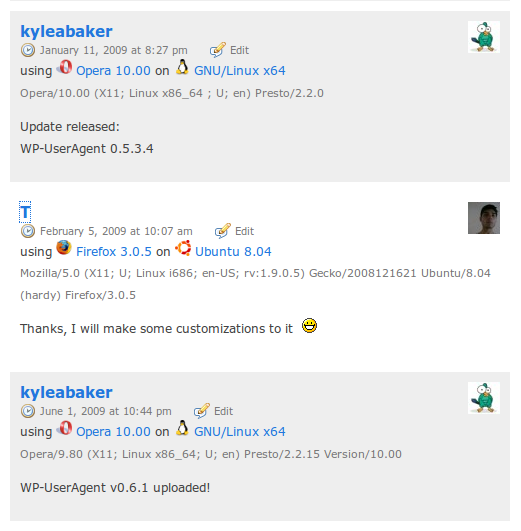 I’ve just updated WP-UserAgent to version 0.8, covering a lot of ground over the past few days. As I’m working to reach a stable and solid 1.0 release, I’m also working towards a feature complete plugin. Version 0.8 offers support for detecting ~90 different web browsers and ~35 different operating systems (counting each version of windows). Easy access to WP-UserAgent settings is worked right into the Plugins page. No more need to search for options to edit! Once you find the options page, you’ll find a cleaned up look and feel, along with a real-time preview of how your changes will appear. 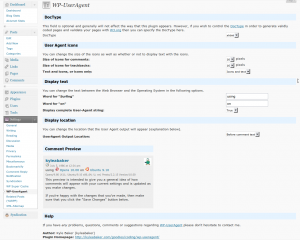 If you’re in need of a cool geeky WordPress plugin, why not give WP-UserAgent a shot? It’s an interesting way to find out a few details about your subscribers and other visitors! 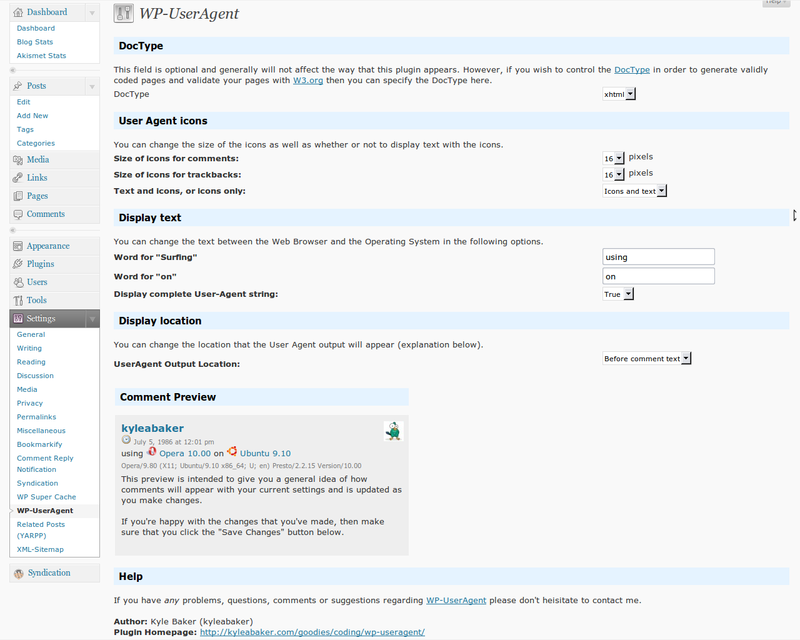 Find out more details, changelogs and downloads on the official WP-UserAgent plugin page. Kyle, nice job. I like this plugin. It is as good as the UserAgent Spy.